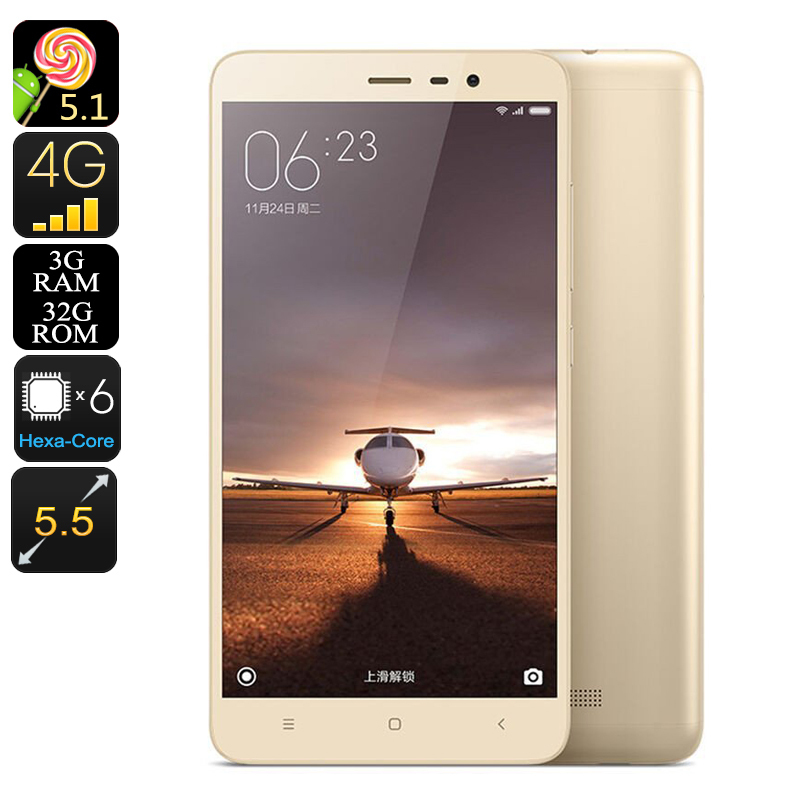 Successfully Added XIAOMI Redmi Note 3 Pro - Dual SIM, Snapdragon 650 CPU, 3GB RAM, 4G, Adreno 510 GPU, Fingerprint Scanner, 16MP Camera (Gold) to your Shopping Cart. 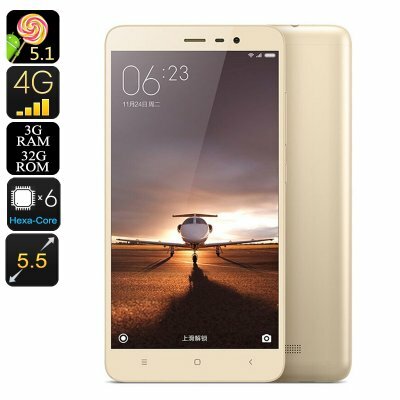 As the latest flagship smartphone from Xiaomi the Redmi Note 3 is the first handset out there that features the new Snapdragon 650 CPU. Clocked at 1.8GHz this hexa-core processor packs some serious power, making the Redmi Note 3 one of the fastest Smartphones out there that is guaranteed to provide you with a user experience like never before. Featuring 4G connectivity and dual-band Wi-Fi this Chinese smartphone supports the fastest data connection that is currently available. Stream FHD movies and download files in the blink of an eye, with Xiaomi’s Redmi Note 3 a slow internet connection is a thing of the past. Supporting up to two SIM cards and holding dual IMEI numbers this flagship smartphone offers you the perfect means to be constantly connected with friends, families, and colleagues alike. Holding a massive 4000mAh battery this Chinese smartphone offers you plenty hours of continuous usage time, enough to get through the day without the fear of running out of juice any time soon. Although large in capacity this monstrous battery is surprisingly slim in size. With its ultra-thin battery the Redmi Note 3 packs a lot of power while keeping its design sleek and light weight. Crafted out of premium quality metal this Chinese smartphone has an elegant and beautiful look. On the rear of this beautiful smartphone you can find an ultra fast fingerprint scanner that will help you to secure your phone along with all its data. No longer will you have to worry about remembering PIN codes or screen patters as now your Smartphone can be easily unlocked by a touch of your finger. Launching the latest Apps in a spit second and playing the most demanding mobile games without dropping any frames is no issue for this beautiful smartphone. Featuring the Hexa-core Snapdragon 650 processor paired with ARM’s flagship cortex A72 architecture the Redmi Note 3 smartphone can be considered as one of the fastest devices on the market. Download the latest Apps, stream full HD movies, and enjoy mesmerizing 3D games, with this 5.5 inch Chinese smartphone you are guaranteed to take your mobile entertainment experience to an entirely new level. Never let an other special moment in life pass by unnoticed – with its 16MP camera the Redmi Note 3 lets you capture stunning photographs and FHD videos, allowing you to capture and share your memories in breathtaking quality. Whether you are enjoying a stunning view in the mountains or are simply attending a friend’s housewarming party, with this 16MP camera you can be ensured that all your favorite moments will be turned into a stunning memory.